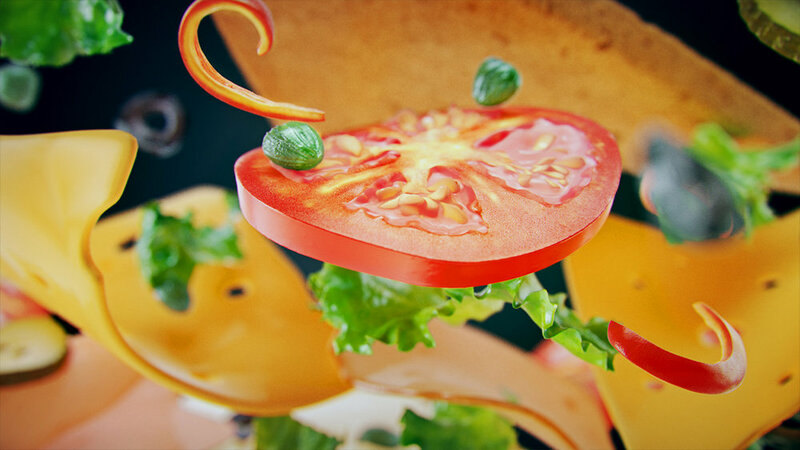 We created a full CG, animated sequence for Mister NO Sandwiches’ new web site. 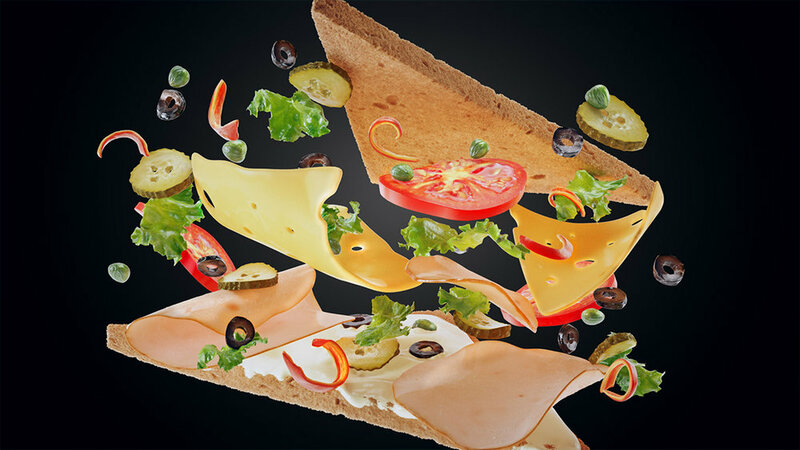 Original food products’ photographs are taken for modelling and texture phases of the project. These datas are transferred into the 3D environment without loss.